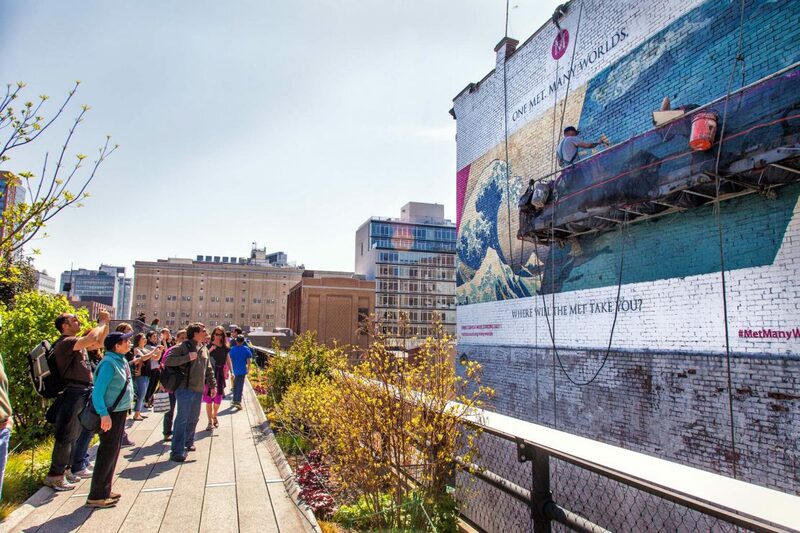 We’re proud to continuously paint two walls overlooking New York City’s famous elevated High Line Park. The excitement surrounding the production process always draws a crowd, with groups of spectators gathering each time our painters return to the wall to renew the artwork. The iconic High Line murals, located at 20th and 22nd Street, have featured work from world renowned artists Barbara Kruger, Ed Ruscha, and Kerry James Marshall, among others, and are regularly our most photographed projects of the year.